What Are the Dangers of B6 Vitamins in Children? Vitamin B6, known as pyridoxine, is a water-soluble vitamin the body needs for metabolism, nervous and immune system functions, and conversion of amino acids and other vitamins. Vitamin B6 is water-soluble, but that does not mean it is safe to give to children. Before giving children vitamin B6 or any supplements, parents should consult with the child's pediatrician or a medical professional specializing in children's health. Dietary supplements cannot replace a healthful diet. Vitamin B6 is found in fortified cereals, beans, meat, poultry, fish, bananas, peanut butter and many vegetables. Dr. Arnold Brenner of the Department of Pediatrics at Sinai Hospital in Baltimore has studied many children with hyperkinetic cerebral dysfunction, now known as ADD and ADHD. In an article published in the Journal of Learning Disabilities, he said that the condition of some children who responded positively to thiamine supplements was aggravated considerably when they received vitamin B6, and the symptoms of some children who responded positively to vitamin B6 worsened when they were given thiamine. Brenner's research suggested that hyperkinetic cerebral dysfunction syndrome has multiple causes, including vitamin deficiency and drug or vitamin dependency. Too much vitamin B6 can cause nerve damage to the arms and legs. This type of neuropathy is often related to taking supplements containing high amounts of vitamin B6. This neuropathy is reversible when the individual stops using the supplements, according to the National Institutes of Health's Office of Dietary Supplements. Pyridoxine-dependent seizures in newborns can result when pregnant mothers use high doses of B6 or if an infant suffers from genetic pyridoxine dependency. According to a Natural Standard Research Collaboration monograph published at MayoClinic.com, newborn seizures caused by pyridoxine dependence may be controlled with intravenous doses of pyridoxine administered by a medical professional. The first dose of pyridoxine in a newborn may cause low muscle tone or a breathing disorder, conditions that require immediate neonatal treatment. 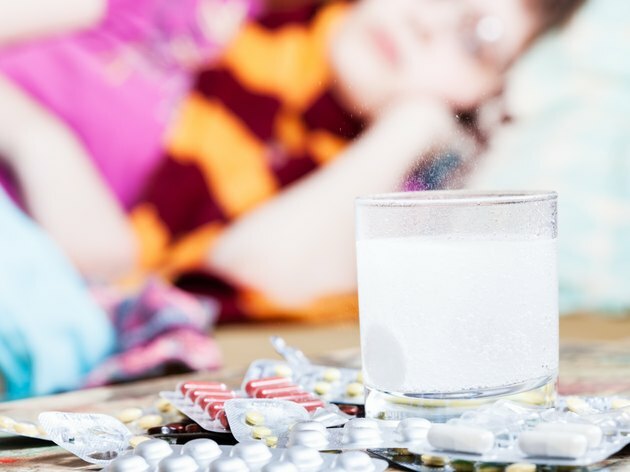 Excessive oral doses of vitamin B6 in infants may produce side effects such as respiratory distress, sedation and hypotonia, but these conditions do not seem to be a problem when B6 is ingested in breast milk, according to "Medications and Mother's Milk," by Thomas W. Hale, professor of pediatrics at Texas Tech University. Hypotonia, or decreased muscle tone -- sometimes called "floppy baby syndrome" -- can be caused by high doses of vitamin B6 during pregnancy. This can also occur at birth if a baby is treated with pyridoxine for seizures. Vitamin B6 can cause nausea, vomiting, abdominal pain or loss of appetite in children and adults. Vitamin B6 may have other negative effects on children, such as headaches, photosensitivity, sleepiness, tingling, chest pain and skin rashes. If parents notice their child is experiencing these symptoms, they should stop giving the child vitamin B6 and contact the doctor. Extreme cases of toxicity may cause swelling of the lips and throat, numbness in the extremities and vomiting. Symptoms of an allergic reaction include difficulty breathing, closing of the throat, swelling of the lips, tongue or face, and hives. A parent should stop giving vitamin B6 immediately and seek emergency medical attention if a child experiences any of these symptoms or reactions.